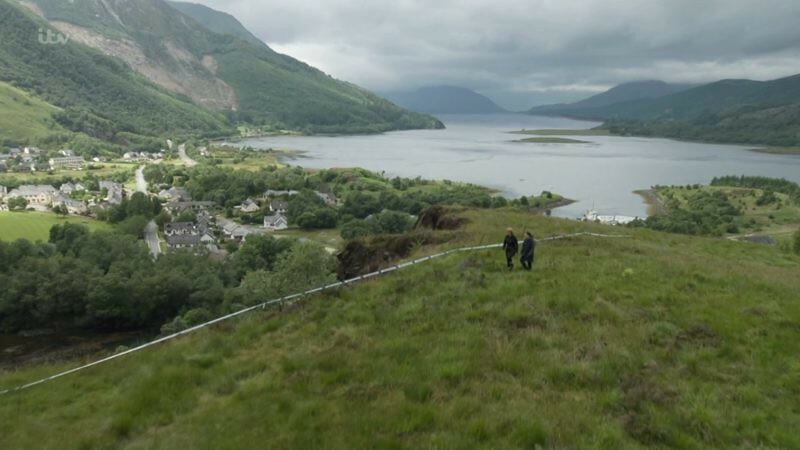 The new ITV drama The Loch takes us not only to the deep and mystical waters of the Loch Ness, but also to the stunning Highlands of Scotland. Everything seems fine on the surface of a little village on the shores of the lake. However, underneath there is a real monster threatening the the inhabitants of the community. 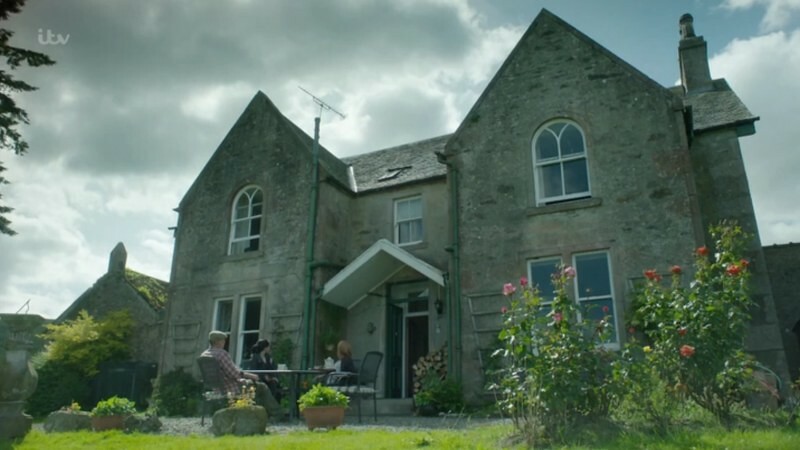 Heading up the cast of this six episodes production are Laura Fraser (The Missing, Breaking Bad), Siobhan Finneran (Happy Valley, Benidorm) and Don Gilet (EastEnders, Brief Encounters). 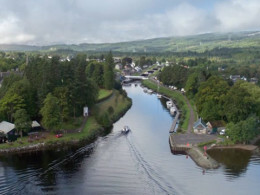 Many scenes were filmed in the streets around the locks and bridges of the Caledonian Canal. 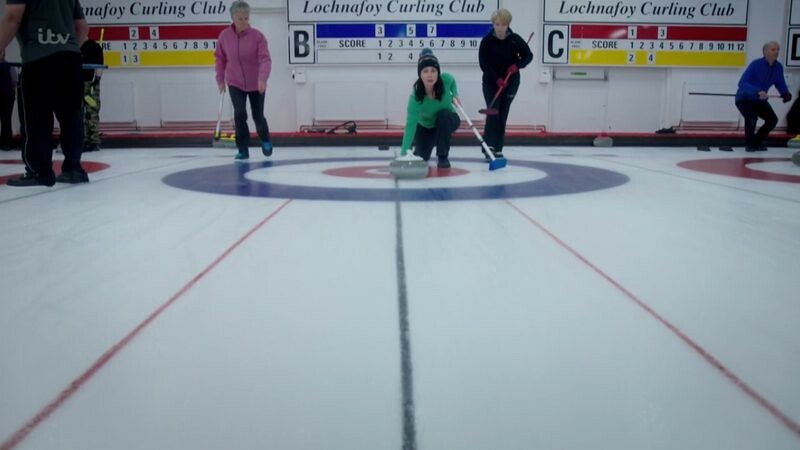 The Lochnafoy Memorial Hall is the Queen's Park Bowling Club in Glasgow. View of Loch Tarff near Fort Augustus, at the beginning of South Loch Ness Trail. McGrelish Farm is Shemore Farm in Alexandria, near the Loch Lomond. 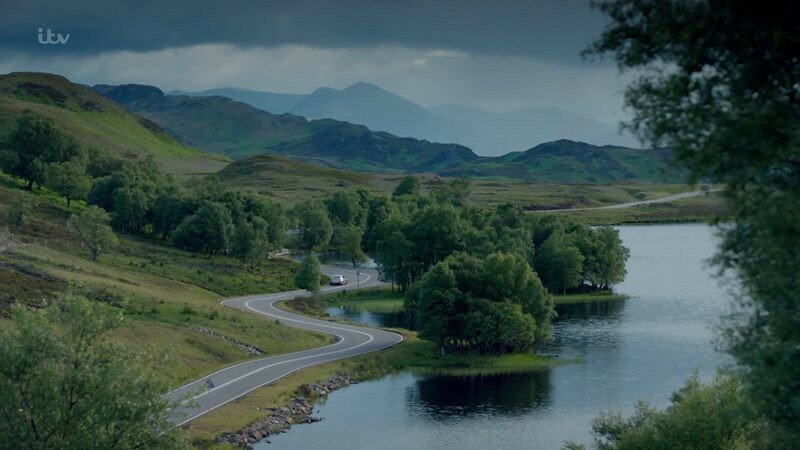 The dam from episode 5 is Glen Finglas Dam near Brig o' Turk (Stirling). 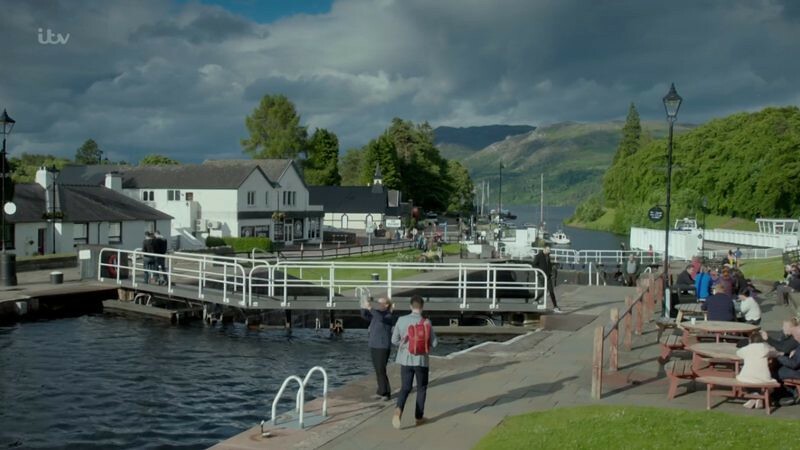 Have you recognised some of the filming locations of The Loch? To complete and correct this report, any feedback, info or images that you may have are more than welcome, thank you! The beach that the youngsters laid the bones etc out on is Dores Beach at Dores Inn. 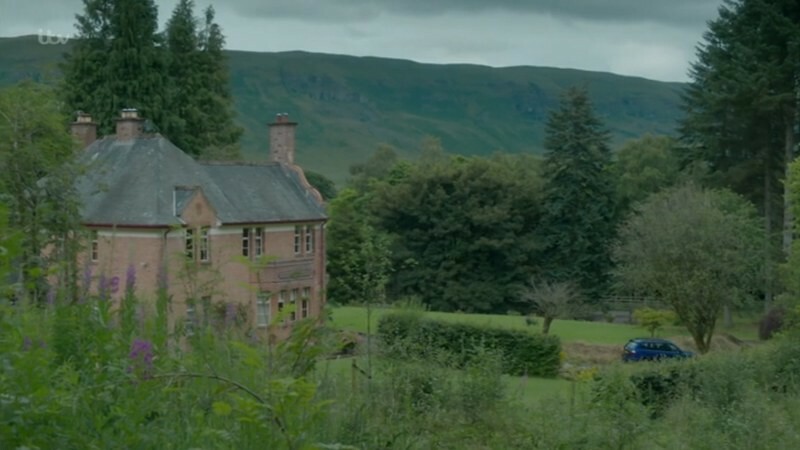 Such a beautiful place, it’s made to have you believe it’s filmed in one place when in fact it isn’t. I visited the area twice now as I fell in love the first time, and after rewatching I found lots out! 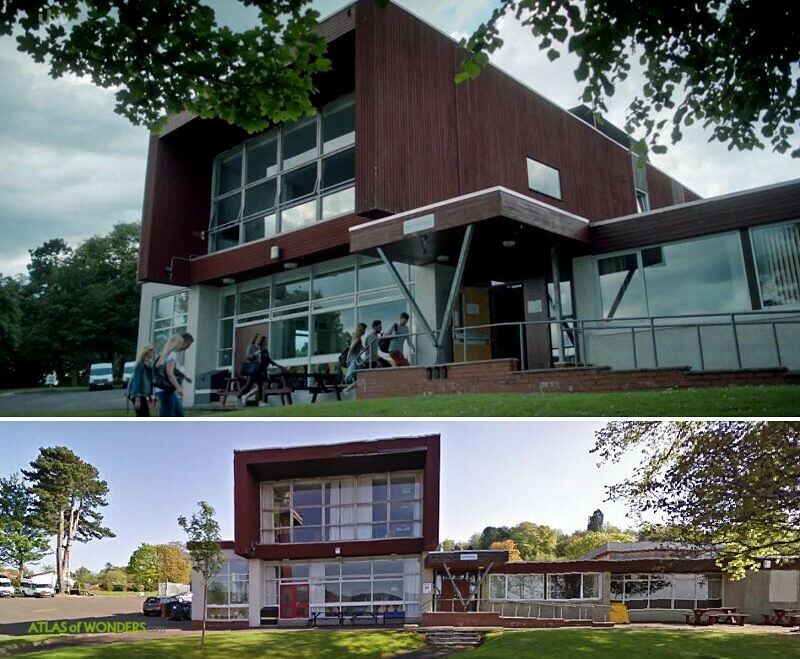 The school building is Blairvadach Outdoor Education Centre in Shandon, near Helensburgh which is West of Glasgow. 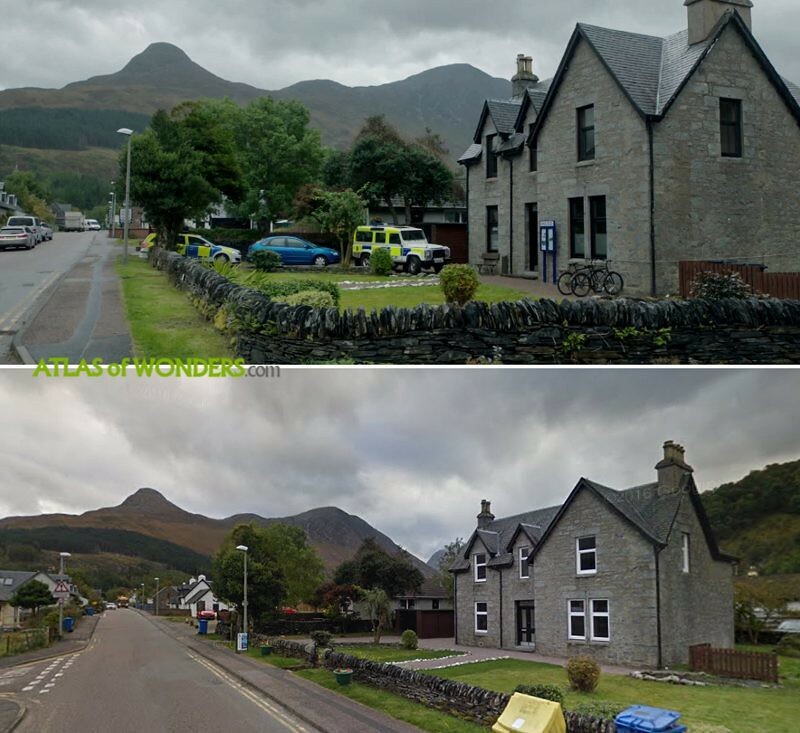 The police station looks like Glencoe Village. 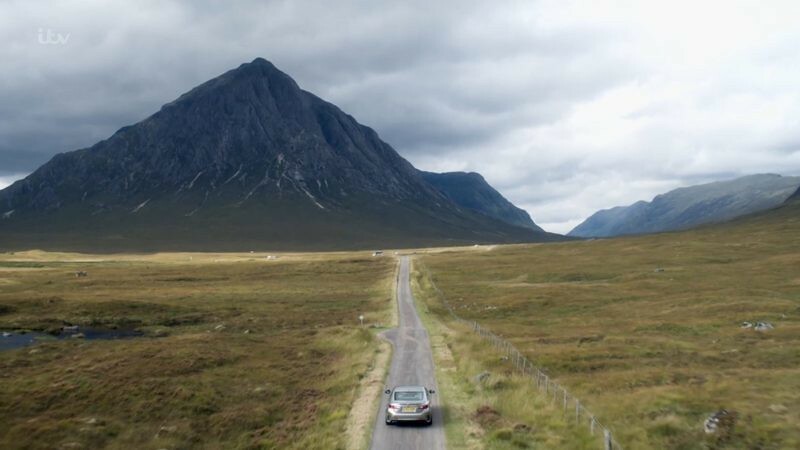 The peculiar shaped mountain being the Pap of Glencoe. The police station is the Rectory at Glencoe Village. Bottom picture Loch Tarff near Fort Augustus? 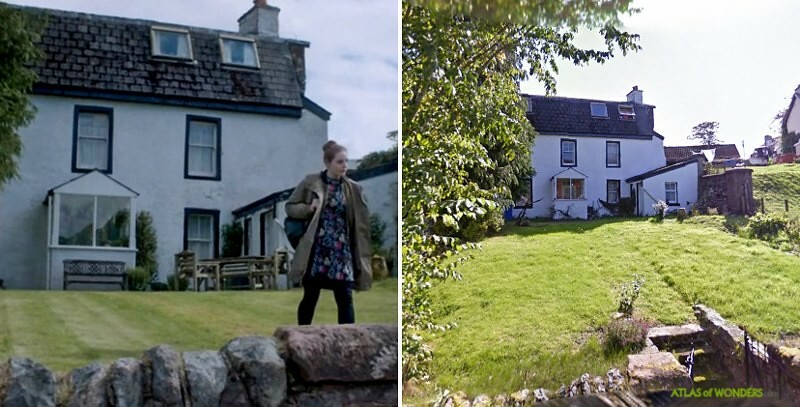 When Tench was in the phone box was it filmed in Carradale, Argyll ? The "Lochnafoy Memorial Hall" was Queen's Park Bowling club in Glasgow. I've watched two episodes so far. The only "negative" I have with the programme is the splendor of the cinematography. It's so stunningly beautiful; I'm searching places in, near and around the places it's filmed and looking at real estate for sale. 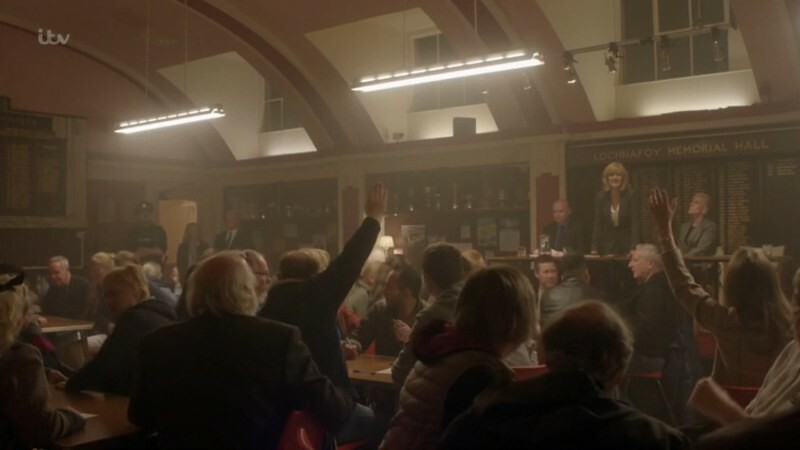 I would definitely say the location shoots are integral to the show.. like another character. Originally from England, having lived in the USA for decades.. what a lovely place to think of retiring. Might be a dream.. a nice one though. Now, back to The Loch. Thanks all for sharing. Google maps has had a workout from me prior to submitting this. The shot of Loch Leven above Ballachulish seems to have been airbrushed into another shot in the distance. Otherwise the Ballachulish Bridge would be visible to the left of the islands. I suspect they've merged it in with a shot of Loch Ness in the background. 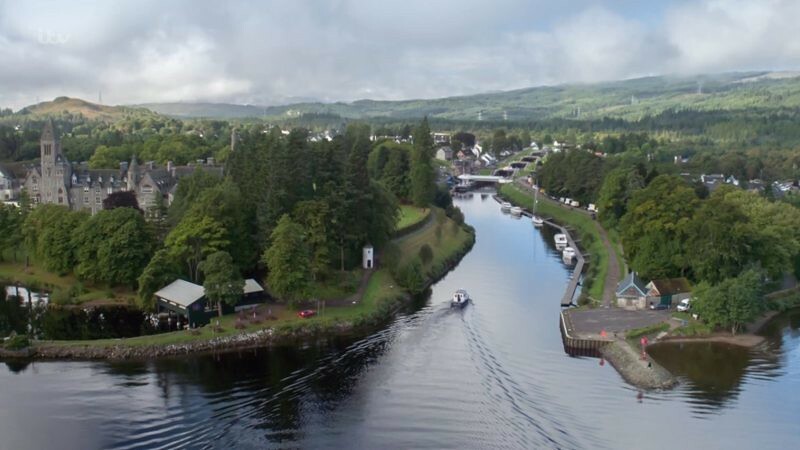 Yes - here's a view of Loch Leven from nearby: https://goo.gl/maps/d3WrS6vGRfC2 - you can clearly see the bridge behind the islands. Compare it to the photo above. A nice bit of clever graphics, ITV! I actually make the dam to be Glen Finglas Dam, [https://goo.gl/maps/r99dk71fG562][http://www.geograph.org.uk/photo/3711023], but it took a lot of searching to work it out!